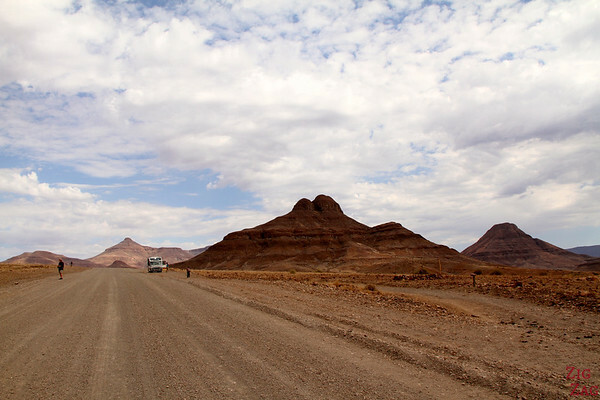 Leaving Twyfelfontein and driving towards Cape Cross and Swakopmund, we drove through Damaraland, home of the Damara people. 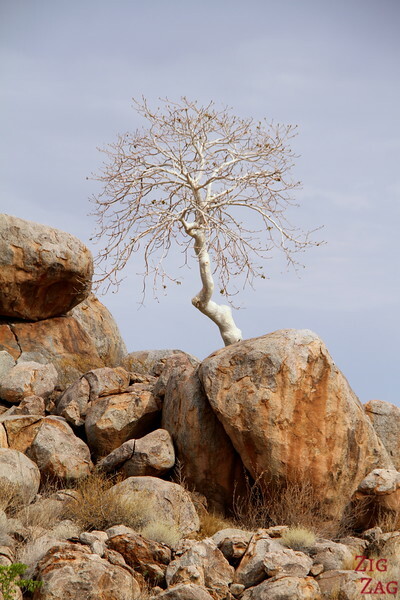 The landscapes were stunning, especially the very white trees growing out of huge rocks. Just drive around, it is amazing! 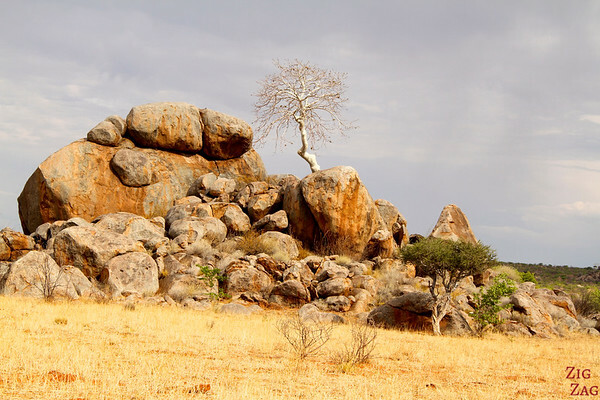 One of my favorite features in the sceneries of Damaraland were the white trees popping out of big rocks. They were so white, I was mesmerize. 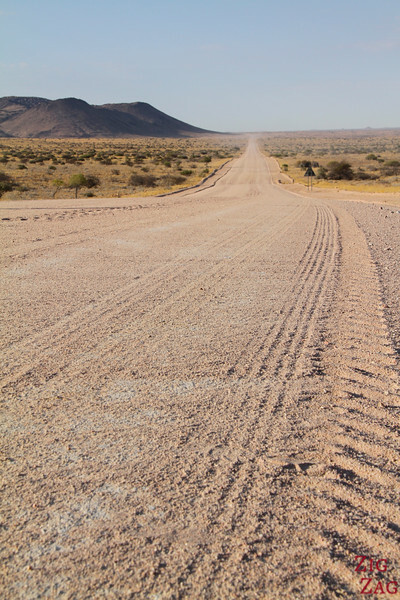 With dryer landscapes, we saw a lot less wildlife in this area than in Etosha National park. 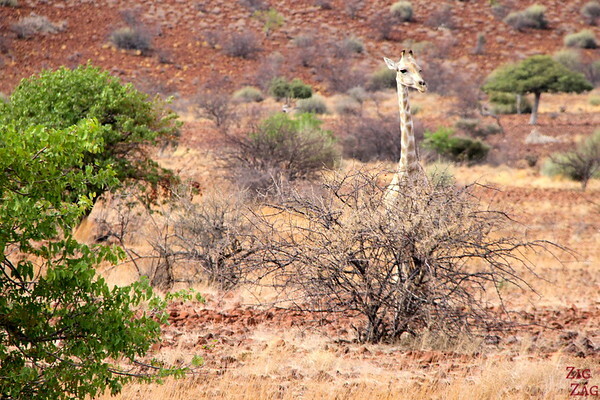 But we did spot a giraffe and some birds with impressive colorful beaks. They was in a tree just next to our tents. 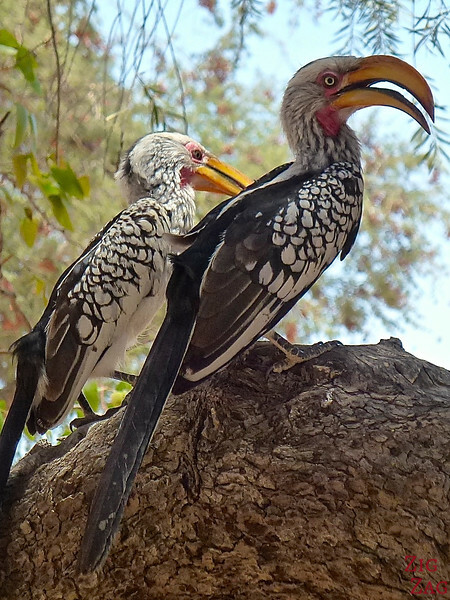 I was very surprise to observe such birds in an environment so dry. 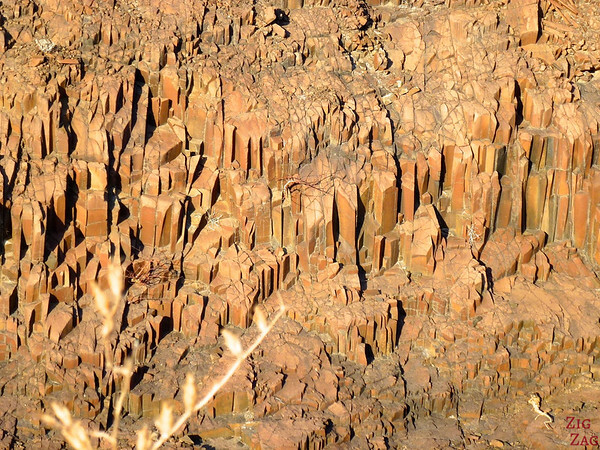 One feature in the area is the canyon with the organ pipe. It is well worth the stop! Are we in the Death valley? 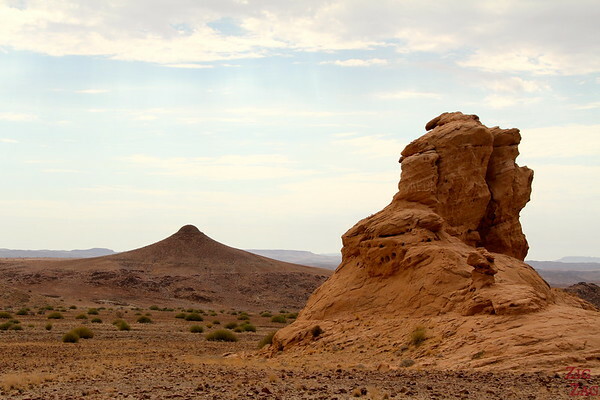 Later on the road, I started wondering if we had just used tele transportation and landed in the Death Valley in the US… But no these landscapes were still in Namibia, such a diverse country! 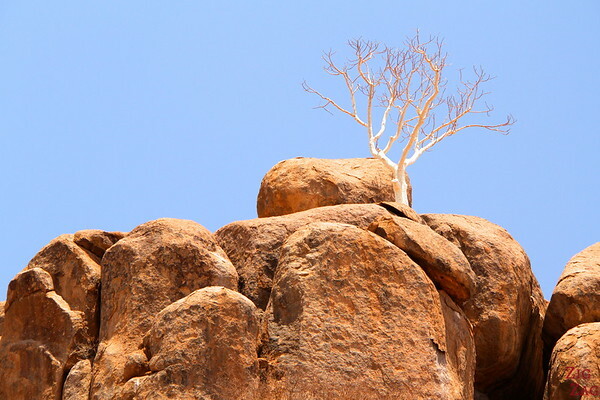 Quite different from the landscapes of South Namibia. Don't you wish tele-transportation were real?